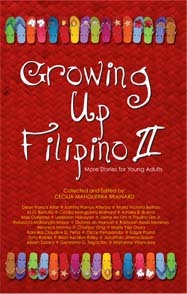 “Neighbors” originally appeared in Growing Up Filipino II: Stories for Young Adults, published by PALH Books in 2009. The book is available from: Palhbooks.com, Philippine Expressions, Arkipelago, Amazon.com, The Book House, Follet Library Resources, Midwest Library and as a Kindle Edition at Amazon.com. Download and read “Neighbors” here.